Now that we're in the final weeks of preparation for Exam 8, you're probably looking into taking some practice exams. 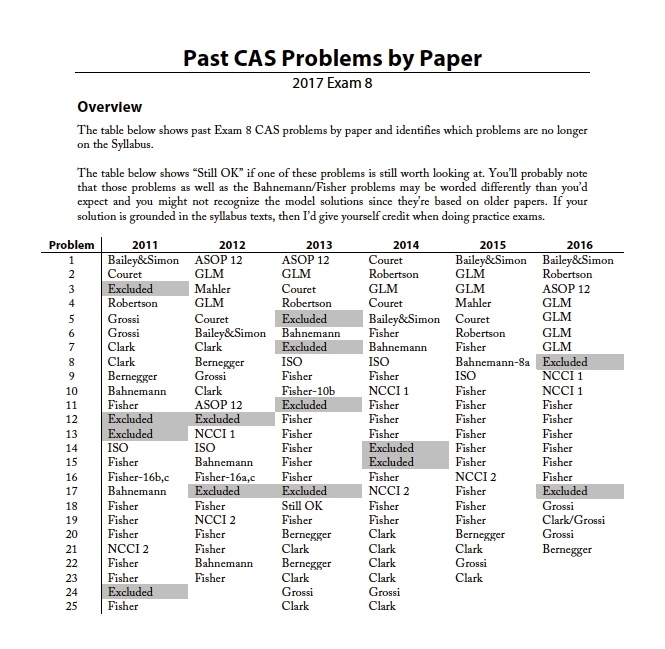 Because of the significant changes in the syllabus, there are a number of past CAS problems that are no longer on the syllabus. I went through the 2011-2016 exams and put together a list of which papers the problems came from and whether they're off the 2017 syllabus. Take a look and let me know if you have any questions about it! Older PostExam 8 Cookbook is Available!